Pastor Jean Claude describes Linor as a “Bag of Fire.” He is full of energy making everyone laugh and he is always up to something new. Linor likes living here because he gets to be with his friends all the time. 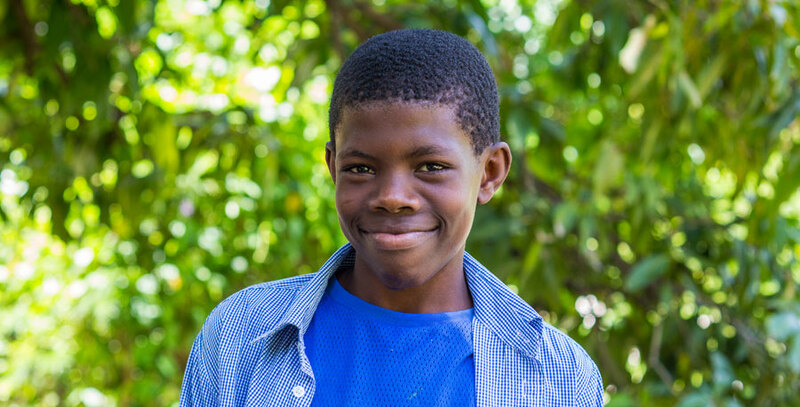 Linor doesn’t like school very much but is glad that he gets to attend because he knows it’s important. He would like to be an engineer when he grows up one day. He loves to help the missionaries out with all their construction needs. His parents both live in Fond Blanc and he gets to see them often. He also has two brothers and two sisters. His favorite thing to do is play soccer and his best friend is Nerisson.